Lotus corniculatus is a common flowering plant native to grassland temperate Eurasia and North Africa. 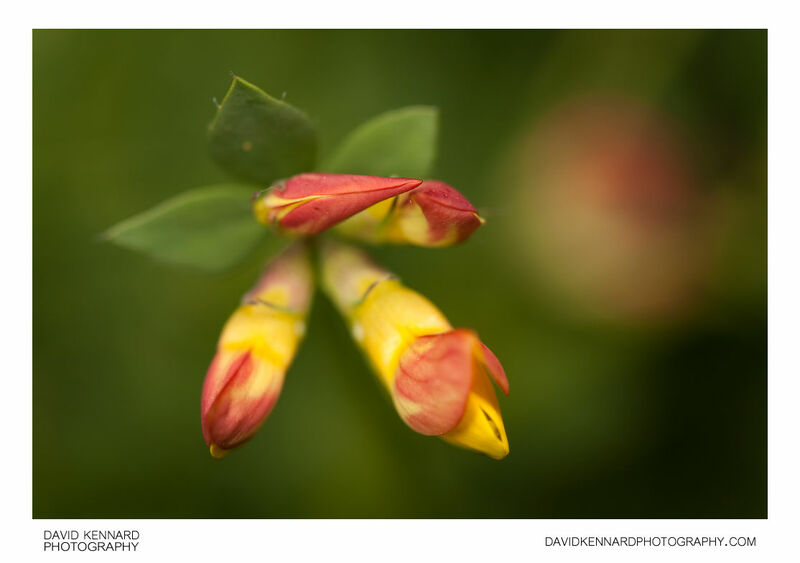 The common name is Bird's-foot Trefoil (or similar, such as "birdsfoot trefoil"), though the common name is often also applied to other members of the genus. It is also known in cultivation in North America as Birdfoot Deervetch. The height of the plant is variable, from 5-20 cm, occasionally more where supported by other plants; the stems can reach up to 50 cm long. It is typically sprawling at the height of the surrounding grassland. It can survive fairly close grazing, trampling and mowing. It is most often found in sandy soils. It Flowers from June until September. The plant has had many common English names in Britain, which are now mostly out of use. These names were often connected with the yellow and orange colour of the flowers, e.g. 'eggs and bacon', 'butter and eggs'. It is used in agriculture as a forage plant, grown for pasture, hay, and silage. Taller growing cultivars have been developed for this. It may be used as an alternative to alfalfa in poor soils. It has become an invasive species in some regions of North America and Australia. A double flowered variety is grown as an ornamental plant. The plant is an important nectar source for many insects and is also used as a larval food plant by many species of Lepidoptera such as Six-spot Burnet. It is regularly included as a component of wildflower mixes in Europe. Fresh birdsfoot trefoil contains cyanogenic glycosides and is thus poisonous to humans. The plant is one of the few flowers in the language of flowers that has a negative connotation, symbolizing revenge or retribution.